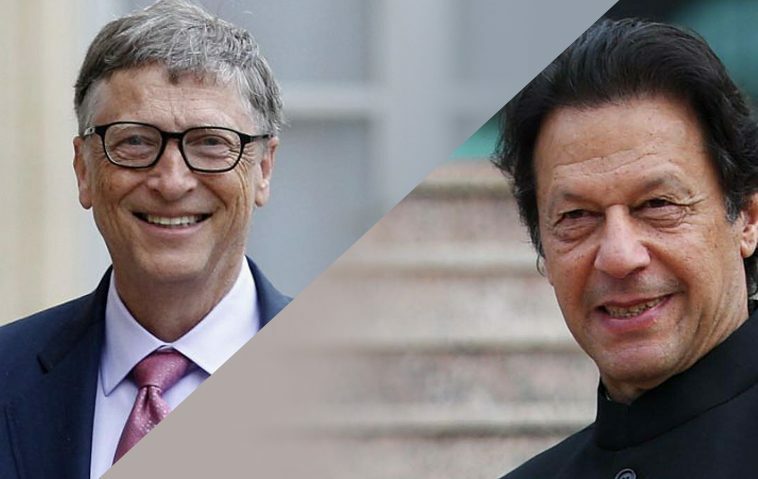 Pakistan’s Prime Minister Imran Khan was called upon earlier today by Bill Gates, the Microsoft co-founder and billionaire philanthropist, congratulating him upon holding office and appreciating his efforts in the polio eradication. In their 30 min phone call, Gates assured his support and assistance to uplift Pakistan in various sectors. Earlier in June, Gates had also commended Pakistan Army’s efforts in the Polio eradication drive in the country. Bill and Melinda Gates Foundation have been funding Pakistan for polio eradication and other health services and wowed to increase the funding. Another major discussion between Gates and PM Khan was about the growth of the IT sector of Pakistan. Microsoft launched AppFactory aiming to engage and encourage the IT graduates providing a market access for in demand skills. Both leaders emphasized on introducing innovative ideas for public empowerment with the IT-based economy. Pakistan IT exports are more than $1 billion, however, the figure can be increased exponentially by implementing a better IT policy. Gates showed interest in visiting Pakistan for further discussion on the IT sector development. Khan was also appreciated for his efforts by Gates before holding the office as the country’s PM. In a letter wrote in 2015, Gates highly praised khan for his role in the polio eradication in Pakistan. Gates also hailed steps taken by Khan for the mother and child care and reproductive health.